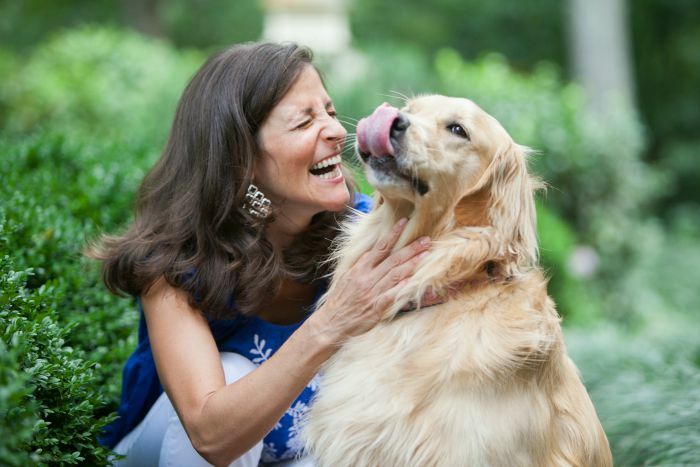 As part of my relationship with Royal Canin, I had the pleasure of meeting Tom Daly, a photographer in Charlottesville, Virginia. He had the pleasure or task of taking photos of Chloe, Lacey and I recently. 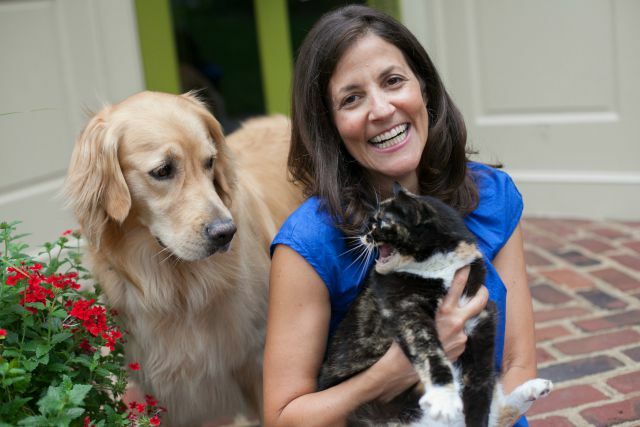 This was my first experience taking professional photos of dogs and cats, unlike the snapshots on my blog. We had a lot of laughs and only one minor cat scratch during our session, but I thought it went pretty smoothly. I asked Tom to share his top 6 tips for taking photos of dogs and cats. 1. Be sure to use a Digital SLR camera as you pets move quickly and you need to be able to catch them quickly. He recommends using a 50 mm lens. 2. Use a high Aperture when taking photos of pets or high F stop. This will allow for a larger field of focus. Shoot for 4.0 to 5.6 range. Using a high shutter speed will also allow you to capture that moving subject. 3. Patience is key. The photographer can find the ideal background and then needs to wait for the subject to come to you. Be flexible, your cat or dog may not want to sit in that area. Always have a plan b or c.
4. Get close to your subject. Pet photography is about getting close shots of your pet (using a 50 mm is best for this) . Just don’t let the dog lick your lens! 5. Fur color will determine how you select your exposure. If taking photos of multiple dogs/ cats be sure to expose for the lighter fur. During post processing you can bring up the shadows to expose for the darker fur in the picture. 6. Shade Shade Shade. If possible find a shady spot to take your pictures. This not only will cut down on shadows but it will keep the pets cool. 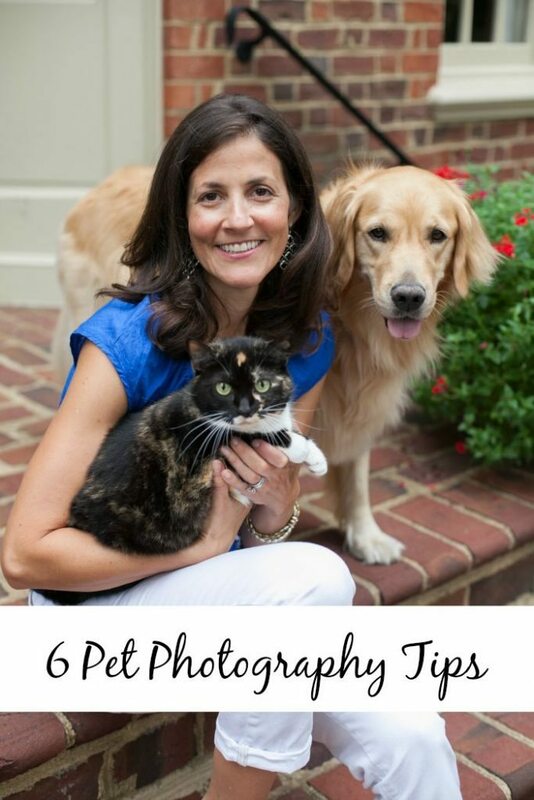 These are all great tips for taking photos of dogs and cats and many are similar to taking photos of kids. 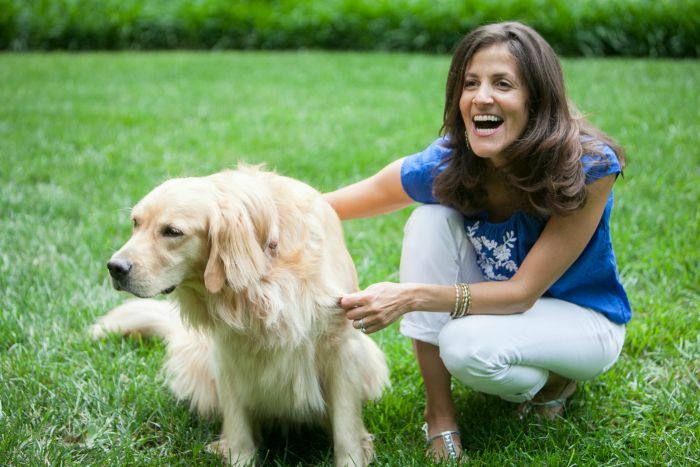 As a pet parent, I would suggest keeping your dog on a leash until you are ready for pictures. Chloe is notorious for finding something nasty to roll in after she has been bathed or brushed. Allowing her to run around can be an issue. If you dog is food motivated, be sure to have something to treat them with. Bringing along some extra kibble is always a good idea. Like people, dogs need a water break too. I was surprised how many times Chloe took a water break during our session. Not all pets get along just know your limits and cut the session short if the session starts to go in the wrong direction. For more information about pets and pet ownership, check out My Pet Reference, from my partners at Royal Canin. My dad is a country veterinarian. I will be using these tips:D Thank you for hosting Friday Frenzy. Go check out my Tall Tales section of my blog My Mom’s Junk for some funny stories about him. Release the hounds is my favorite! This is great!! I need to get some new shots of my sweet pup!! I’ll definitely be referencing these tips! What beautiful pictures! I love the kitty and dog. Your kitty looks like mine! A friend of mine had some portraits done with her dogs last year and they were gorgeous! Thanks for the tips on how to get them done. I haven’t taken pictures of my pets. You have to have a great camera to catch my cat since she is fast. They can be such tricky subjects! Thanks for the tips! I love all these tips. 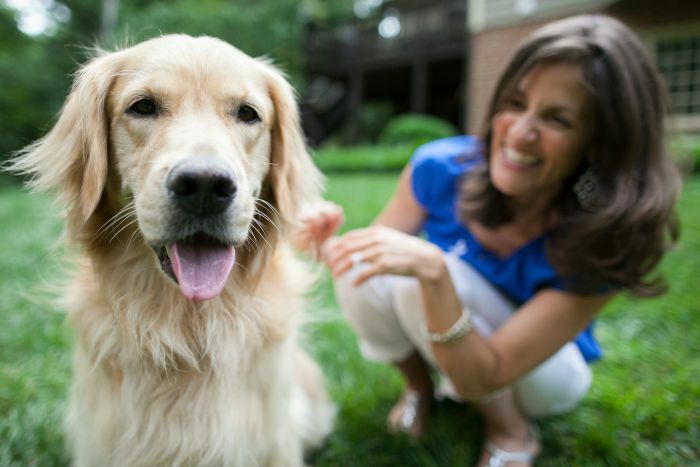 Still trying to figure out my DSLR, and these tips will come in handy when photographing our dog! Great tips! Pinning for later.